these are the keys i have for my Lucy Cosplay from Fairy Tail. I bought them on Ebay and they cost me around the 8 or 9 dollars each. Yes i bought them one at a time. I HAVE ALL KEYS THAT ARE OUT AND THERE IS A PICTURE FROM IT. I want these so much! I totally want one of these, that's amazing!! Its an old picture really. I GOT THEM FROM EBAY. There my keys ...... So hands off. And they dont work unless the master of the keys is dead. Is it the same size or is it with a keychain / necklace. DID YOU DROP MY KEY AGAIN!??! HOW DARE YOU INSULT ME!?!?! Virgo: Do you wish to punish me princess? Your not getting this one. where did you get all of those!? Oh my goodness I need them. 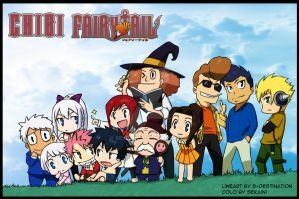 I LOVE Fairy Tail! 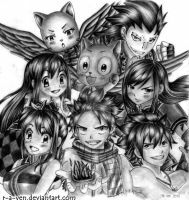 My channel is just Fairy Tail and nothing else so far xD! I love it! I wish I had those keys instead =~= Most of my keys don't even look like the real keys. Hit the enemy in his shin - shin. With your Bankai you will make a kill - kill.